Did I mention CONTEST? ! So I know you were all wondering what the big news was when I posted about my expansion, mostly because I got tons of texts and messages after! I love to shop, LOVE it. 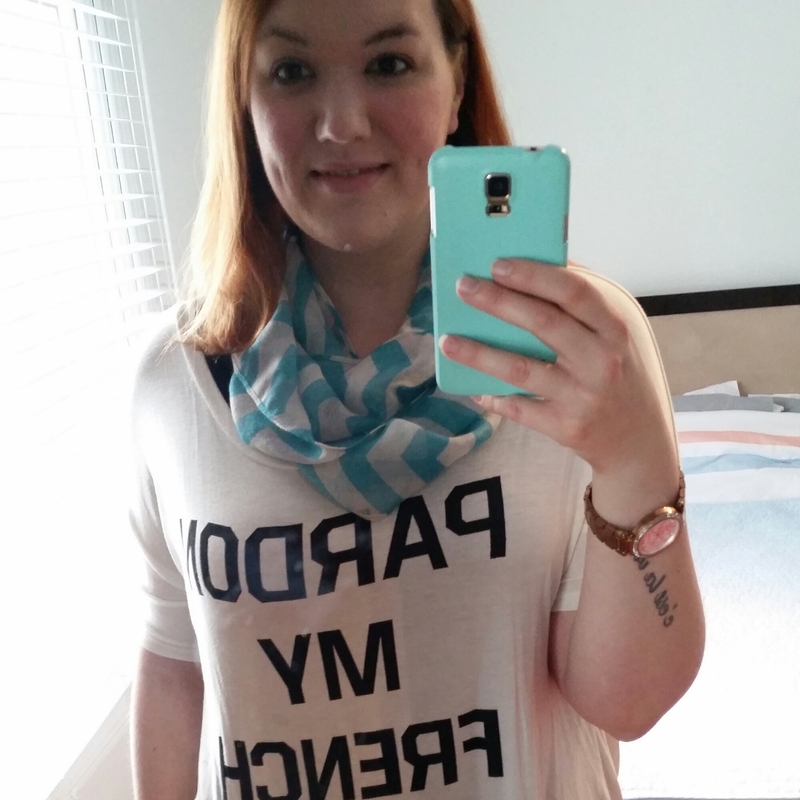 And while I do shop at big name stores, I love to find local and independent retailers. 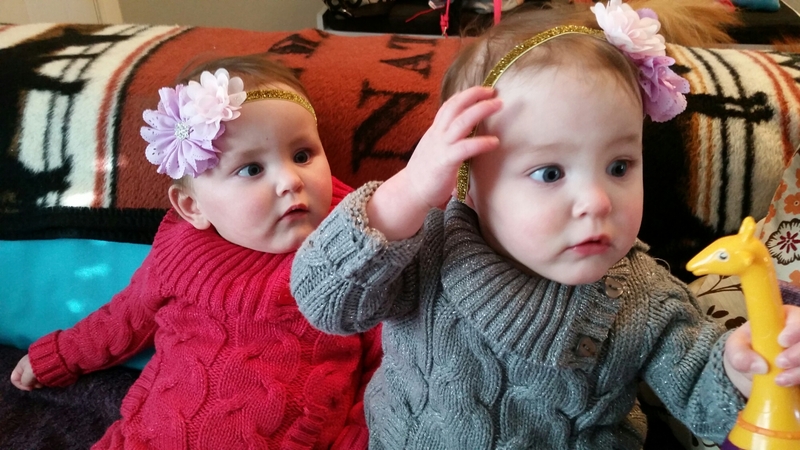 I found Little Miss Bows and Bands on Instagram when someone tagged her headband in a post. I really admire any parent that can turn their passion into a lucrative career and stay home with their babes. 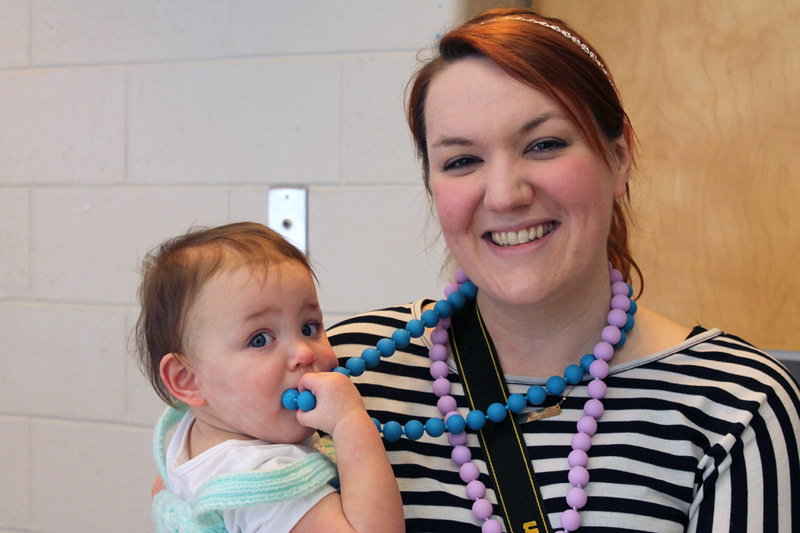 I’m super excited to support Little Miss Bows and Bands because her work is amazing. 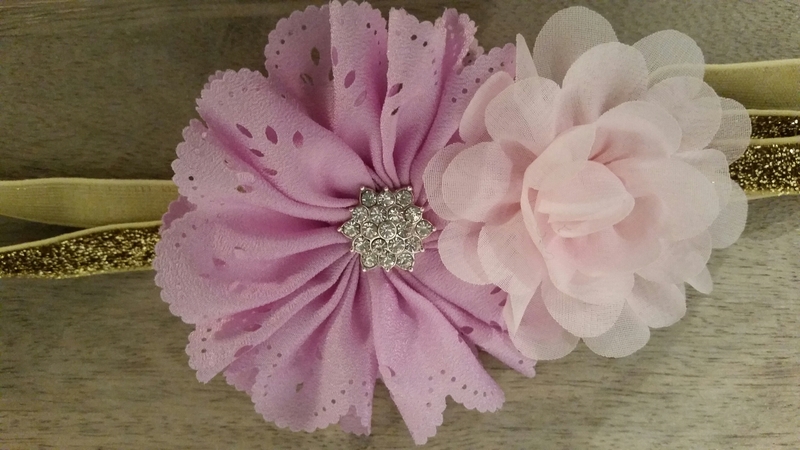 We are currently running a contest for a $15 shop credit to Little Miss Bows and Bands and entering is super easy. This contest is open to both Canadian and American residents (sorry everyone else!) and is SUPER easy to enter, but we’ll get to that in a minute. 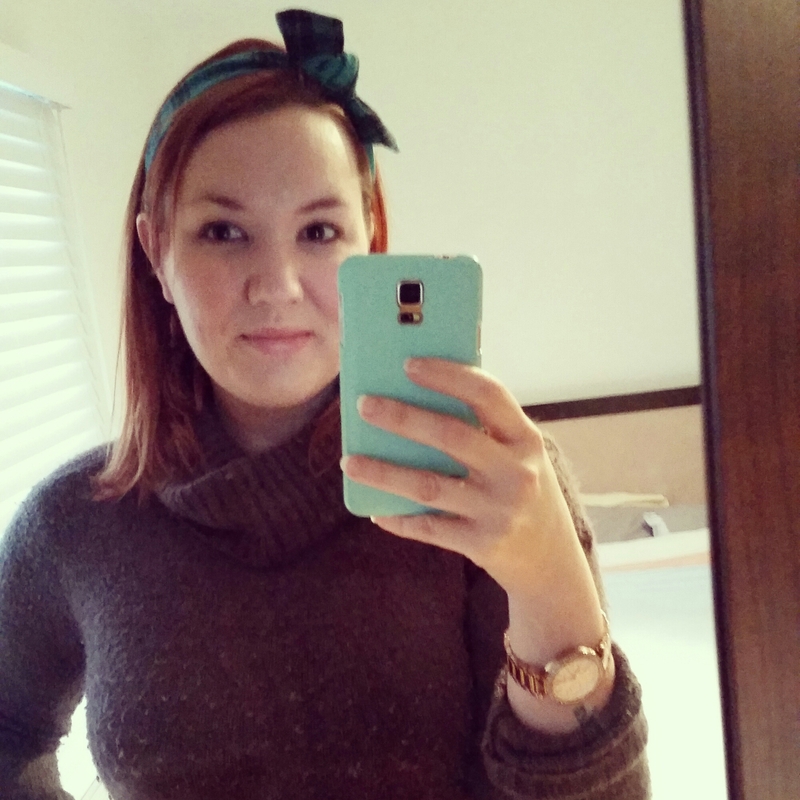 I'm wearing a bow turban from Little Miss Bows and Bands, too! I have to say, I love her shop for me as well as the girls! Even if you don’t have kids, I suggest entering for yourself! You could pick up an awesome turban, band, or scarf! There’s also super cute sequin clutches that were just added to the shop that would look awesome in any purse. The band you see above was custom made for the girls based on a photo of their one year home outfits! Amazing detail and colour and obviously made with love. I wore the bling halo band to Buds' birthday party! On Facebook, like Little Miss Bows and Bands (www.facebook.com/LittleMissBowsandBands) AND Adventures with Multiples (www.facebook.com/adventureswithmultiples), find the contest photo, like it, and tag your friends! Each tag should be a separate comment and will count as a separate entry! Share the photo on your page for an extra entry! On Instagram, follow Little Miss Bows and Bands (www.instagram.com/littlemissbowsandbands) AND Adventures with Multiples (www.instagram.com/adventureswithmultiples), find the contest photo, like it and tag your friends! Each tag should be a separate comment and will count as a separate entry! 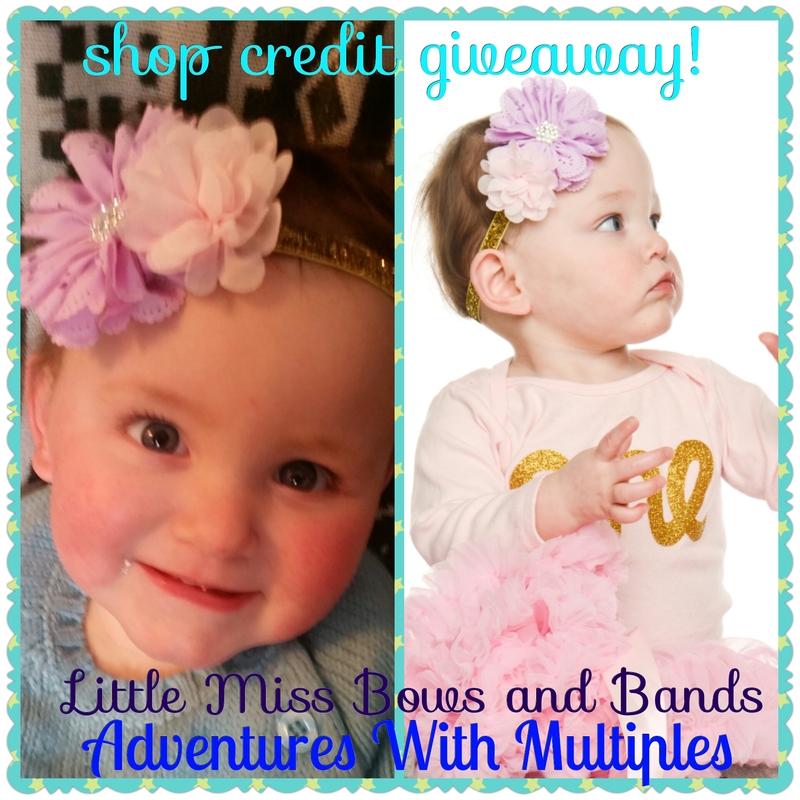 Repost the photo tagging Little Miss Bows and Bands and Adventures with Multiples for an extra entry! That’s it! So simple!! Little Miss Bows and Bands will randomly select the winner this FRIDAY, MARCH 27TH!!! Again, US and Canada only. What are you waiting for? Seriously…hop to it! Look for this photo on Facebook and Instagram! 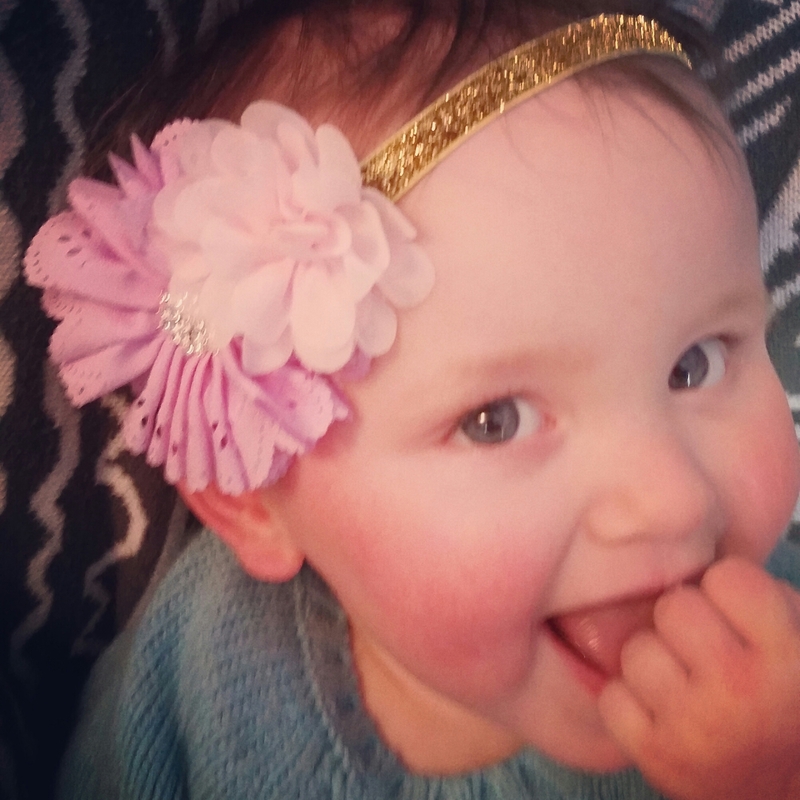 This entry was posted in Baby love, Giveaway!, Mamahood and tagged cerebral palsy, contest, giveaway, handmade, headbands, identical, momo, mono mono, NICU, preemies, special needs, toddler, twins. Bookmark the permalink.